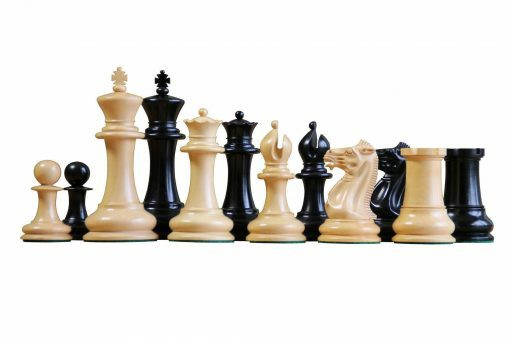 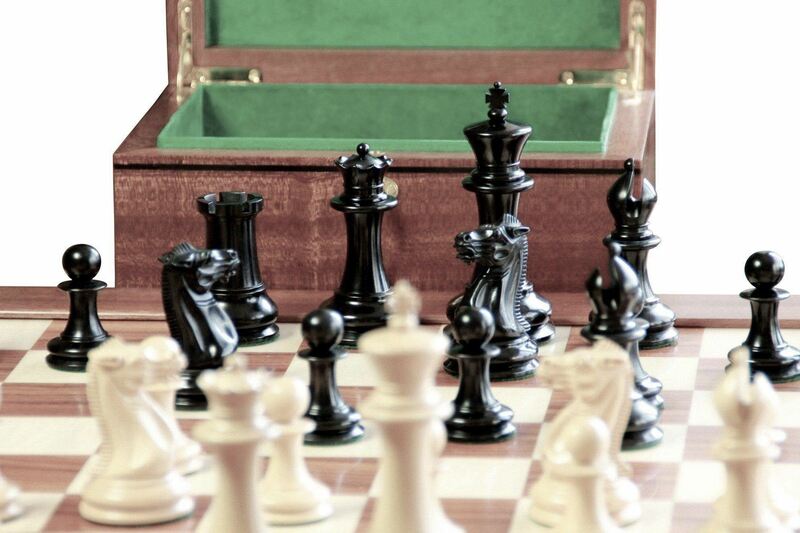 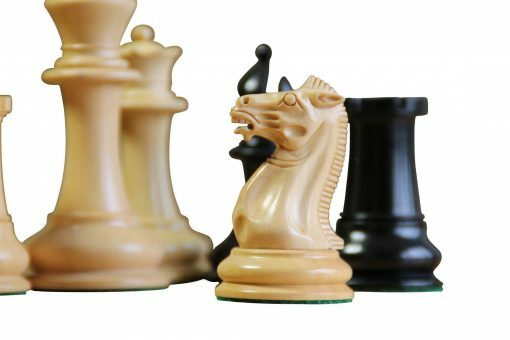 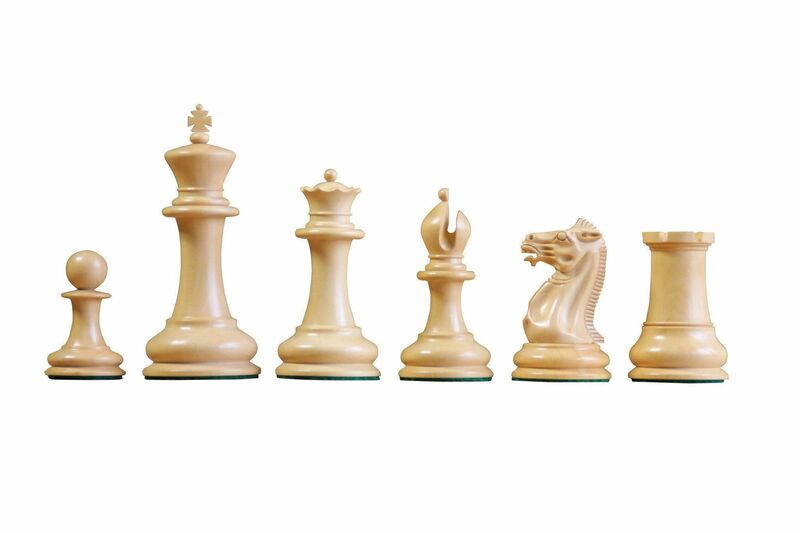 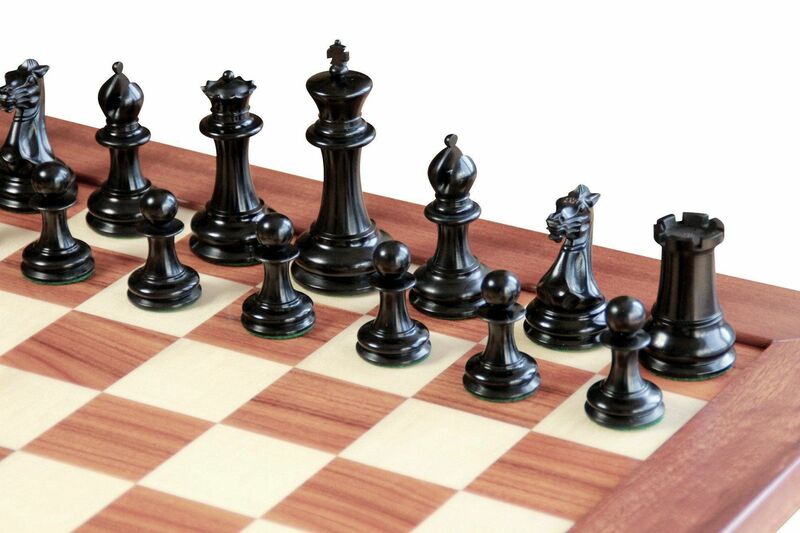 If you are looking for the perfect classic Staunton chess sets combination in true traditional style then our 1851 reproduction is a detailed replica of an original set manufactured by the British company, circa 1849-55. 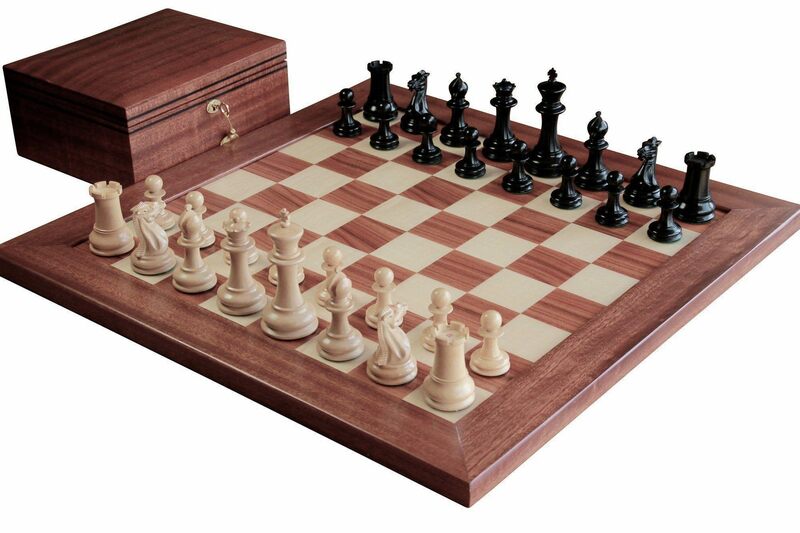 English chess master, Howard Saunton, promoted this set at the first international chess tournament in 1851. 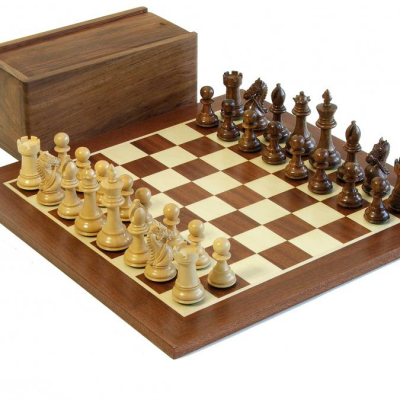 Its clearly distinguishable pieces soon became the competition standard known as the ‘Staunton’ set. 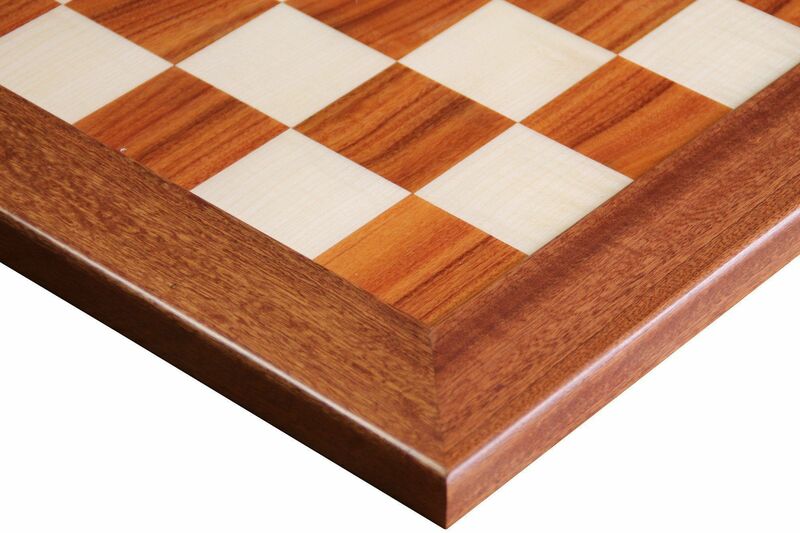 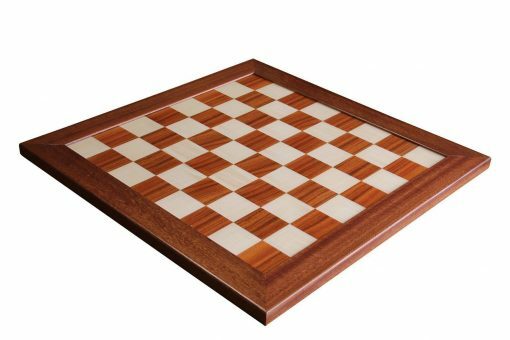 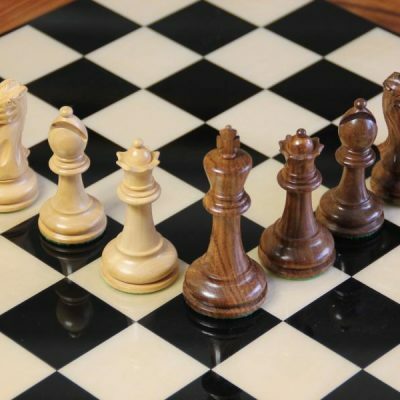 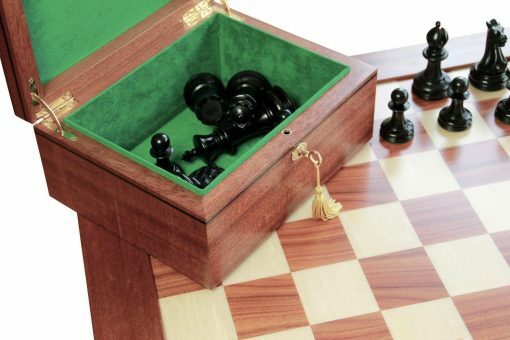 The chessboard is constructed using palisander and maple inlays and has a thick solid wood mahogany frame which compliments both the pieces and chess box. This fine classic Staunton design trio is coveted by serious collectors of the chess World! 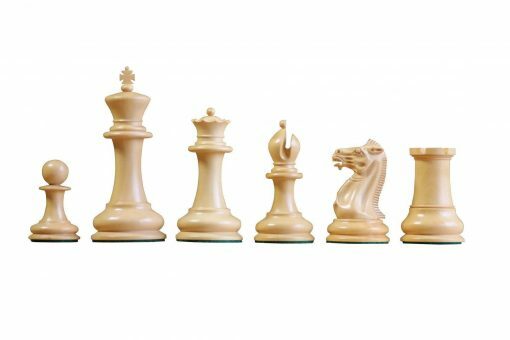 We have received many emails giving praise to our detailed and accurate level of attainment of this particular chess set. 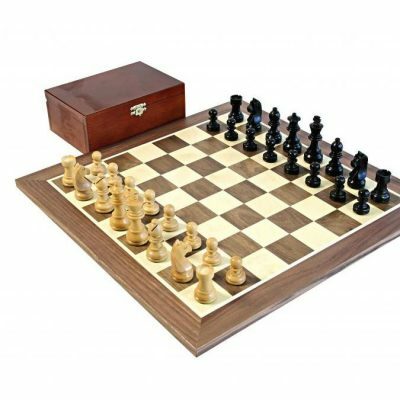 The box is truly beautiful mahogany with a black delimiter stripe accentuating this superb quality chess box to house your heirloom quality Staunton chess sets.